In mid-December 1999, after several days of ever-increasing rains pouring over the Central Mountain Range and the piedmont within the span of 24 hours along the coastline for about 45 km., the state suffered from massive floods which resulted in severe losses of life and property. In its wake as of December 16, the surviving population witnessed the massive destruction of most of the state infrastructure, including the collapse of most roads, bridges, housings, public and private buildings, and of basic services as electricity and communications; in which thousands were killed or missing. It is with great sadness that we remember the tragedy that occurred on 15 December 1999, one of the worst human tragedies in recent Venezuelan history, when heavy rains over 14 days brought devastating floods and huge mudslides down from the Avila mountain, wreaking havoc and destruction on the coastal towns and barrios of Vargas State, burying houses, roads and whole families under thousands of tons of mud and killing between 10,000 and 30,000 people. Some people may not remember now the catastrophe of Vargas. This catastrophe took away lives, dreams, and hope of many people. Ten years have passed since those terrible days of agony for many Venezuelans and nothing has been done in order to restore what was left. Venezuelans who lived there and had the economic resources migrated to other states seeking a safer place to live. But, have you ever asked yourself what happened to the less fortunate ones who also lived there? They stayed in Vargas, a place that does not have the necessary services to live but only the ruins to recall them those horrible days where many of them lost family members. As always, the government has promised many times to fix the problem, but these promises have not materialized into actions yet. In my opinion, the President and his Bolivarian Movement are a total failure. It deeply saddens me imagining the children in Vargas without schools to educate themselves or parks to have fun. 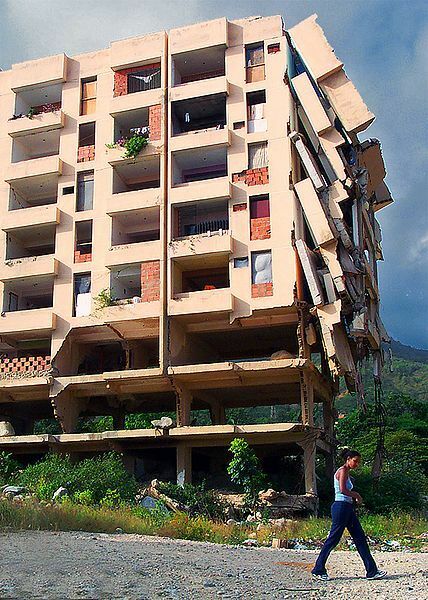 The 1999 Vargas tragedy was a disaster that struck the Vargas State of Venezuela in December 1999, when the torrential rains and mudslides that followed on 14 December through 16 killed tens of thousands of people, destroyed thousands of homes, and led to the complete collapse of the state's infrastructure. 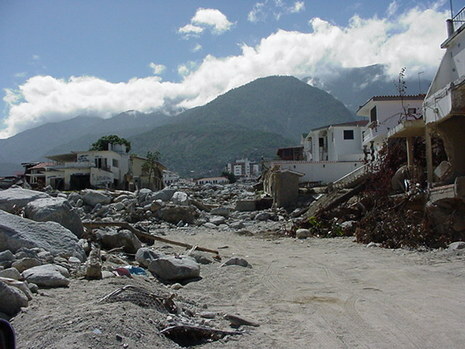 According to relief workers, the neighborhood of Los Corales was buried under three meters (9.8 feet) of mud and a high percentage of homes were simply swept away to the ocean. Whole towns like Cerro Grande and Carmen de Uria completely disappeared.